LP Gas Turbines are used throughout the world by extraction industries and manufacturing plants in remote and hostile locations for essential power production. Dusty and wet environments in deserts, mines, grinding mills, pulp and paper mills and on land or sea drilling rigs for gas and oil production. Turbines powering aircraft services while stationary connect and disconnect many times a day in extreme conditions. These applications and locations test connector sealing continuously allowing dust or water to penetrate. This with the flexing of the connecting cables allows sufficient movement between the metal surfaces of the connecting pins to produce fretting corrosion which reduces, interrupts or produces failures in supply. Regular maintenance of electrical connectors is essential to be certain of uninterrupted supply. 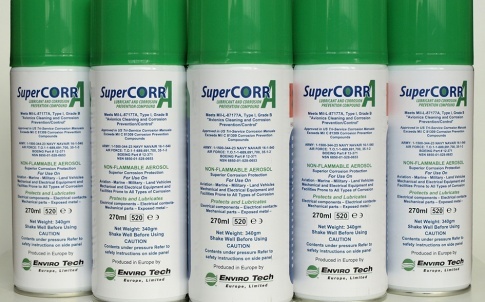 SuperCORR A is an aerosol lubricant containing corrosion preventive compounds, and, as is the case with all lubricants, they can be worn off over time. A manufacturer of connectors tested SuperCORR A to see what the “life” of the lubricant was in a “rub test”. The typical test is 20,000 cycles, i.e. 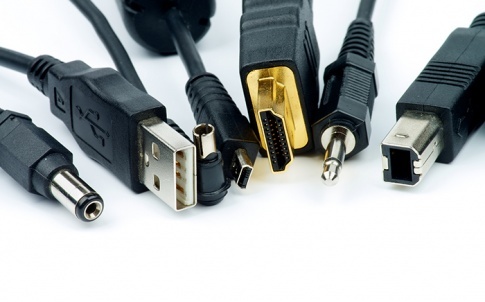 unplug, plug in is one cycle. The test results demonstrated that after 20,000 cycles there were no failures. It was decided to take it one more step and run the same tests for 200,000 cycles. The results again showed no indications of galling or scoring on the connectors at all. The connector looked and tested as good as new. This test was run under clean conditions in a laboratory but demonstrates the effectiveness of the protective lubricant in SuperCORR A. As it meets Mil-DLT-87177B specifications it is used by the U.S. Air Force to protect the intricate workings of the F-16 and F-15 fighter jets and by the U.S. Navy on the P 3 Orion electronic surveillance aircraft. Savings for the U.S. government is estimated at $50 million per year. 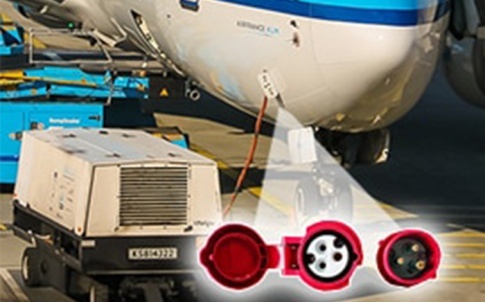 Commercial Aviation aircraft manufacturers recommend it for avionics and electrical switches and connectors and close mechanical application, especially where flights are in salt fog or high humidity. 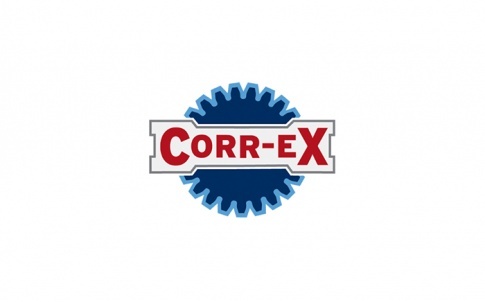 Containing extremely long-lasting, proprietary anti-corrosive inhibitors SuperCORR A provides a superior lubrication coefficient and protects components against moisture, wear, general and fretting corrosion, surface static electricity, corona, and other electromigration problems. The super thin non-flammable lubricant film is only 7 microns (0.0007 inch) thick and is formulated without sulphates, chlorides or halogens to meet the RoHS directive. 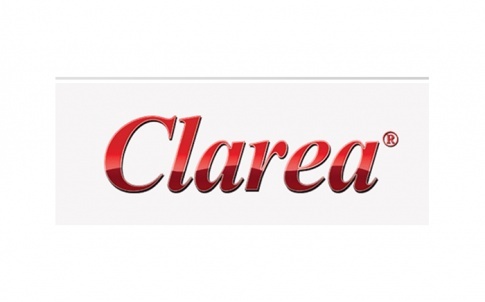 It is unexcelled in preventing deterioration and contamination on all surfaces of electronic equipment. 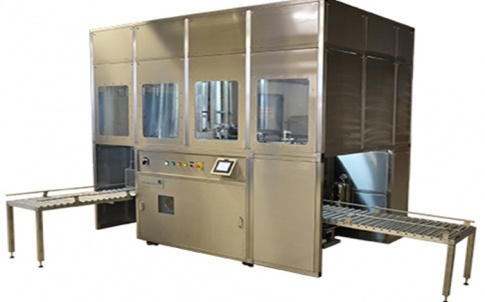 Very fast drying environmentally acceptable solvents are used as carriers and propellants which will not affect most plastics, substrates, metals or other materials used in connector manufacture. The aerosols are supplied with probes which allow access to pins and connector tubes where the low surface tension repels water, dirt dust and metal particles from blind holes and surfaces to produce thoroughly clean holes and surfaces before a second application applies the lubricant film. 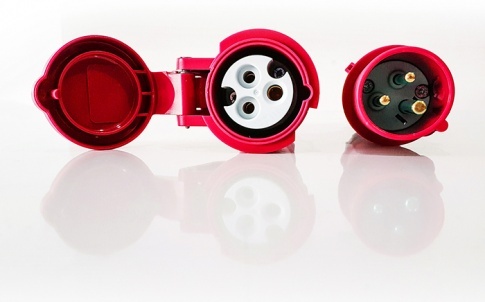 Reconnection to the supply with cleaned sections of the connector ensures reliable operation even in the most testing of environments. This easy maintenance from one can of SuperCORR A allows this essential task to be carried out in any conditions quickly, easily and securely.